Within Evernew Book Store, patterns emerge among its narrow aisles of shelves crammed with secondhand books. Stacked horizontally to maximise shelf space, the books create a dizzying recurrence of popular authors' names and the recognisable spines of major publishing imprints. These are the books that have been deemed perpetually sellable – their evergreen titles. Whether one has read them or not, whether one even thinks they are even worth reading, there remains something familiar about their visual presence. They represent an unofficial, condensed survey of the reading habits that endure in the general public. Visits to the bookstore and to Evernew's warehouse were punctuated by points of recognition, though I had not read most of the books in either location. Visually, they were familiar to me – as if I was tapping into some collective bibliographic consciousness. 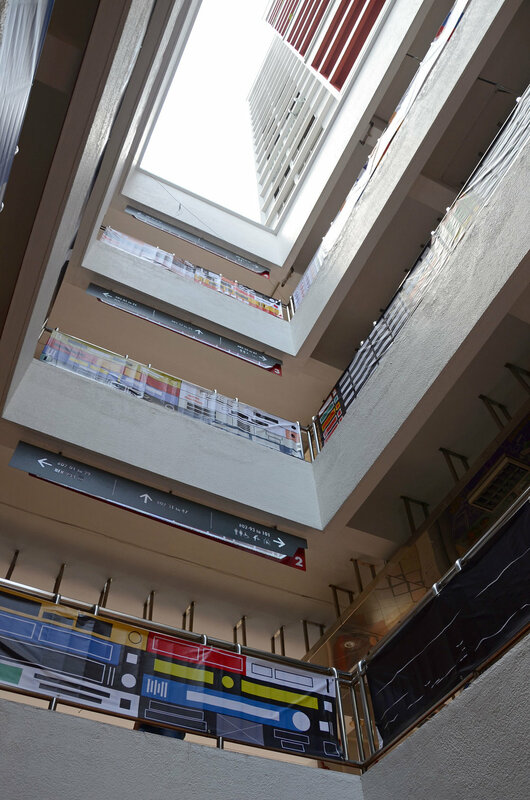 To explore this strange recognition, I conceptualised Evergreen – an installation of 35 PVC banners measuring 208 metres in total within one of the air wells in Bras Basah Complex. The designs flatten, abstract and repeat the design elements of book spines. Playing with the isolation and removal of text, and focusing more on the colours and compositions, the resulting imagery nonetheless triggers memories of popular books. 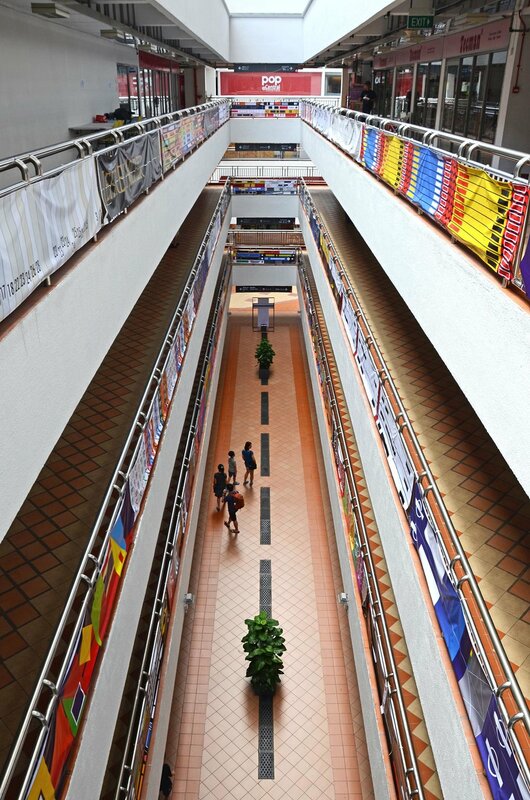 The medium of PVC banners was chosen to echo this recognisability – using a form that is already present in Bras Basah Complex to advertise the shops in the building, the viewer experiences yet another layer of familiarity, even if the designs of these banners seem ambiguous. 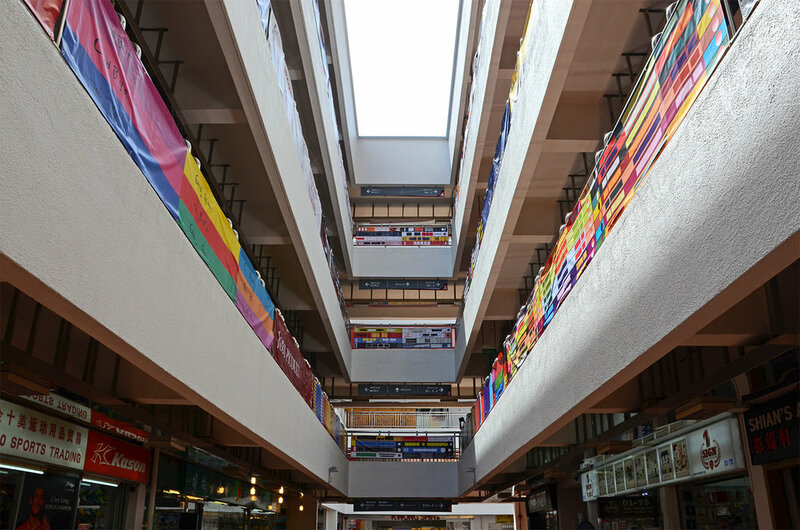 Their elongated landscape format, dictated by the architecture of the building, further recalls the shape of book spines, transforming the air wells that define Bras Basah Complex into proxy bookshelves. 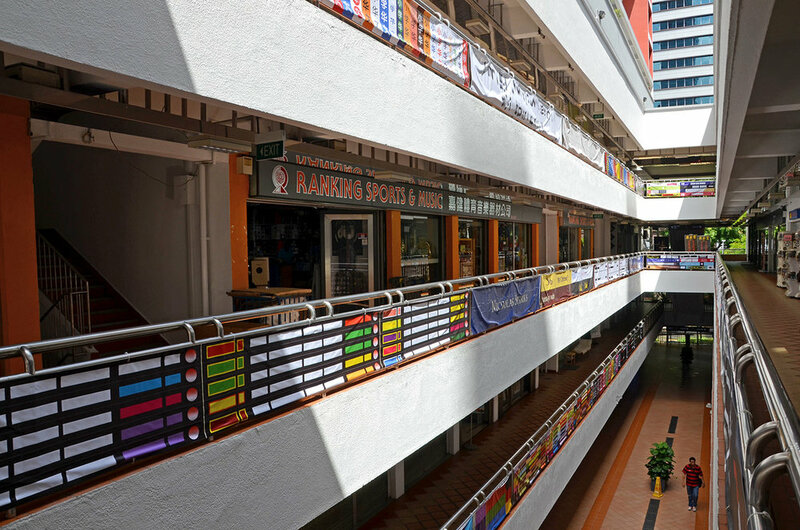 This work was exhibited as part of A City of Books – part of #BuySingLit (9 – 18 March 2018) at Bras Basah Complex [Singapore]. 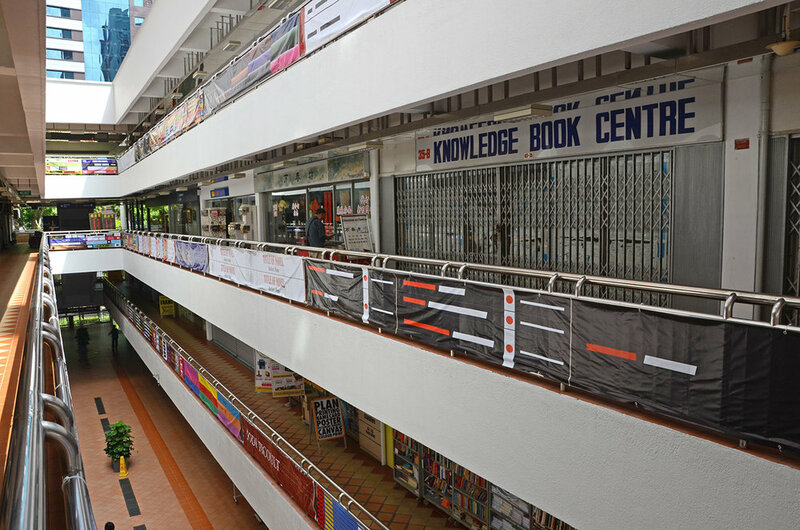 Three artists were each paired with one of three bookstores within Bras Basah Complex in order to develop public art installations that paid homage to the building's reputation as a City of Books.